One of my usual breakfast meals from I was a kid until now is Mixture Salty Steamed Sticky Rice (Xôi Mặn Thập Cẩm). 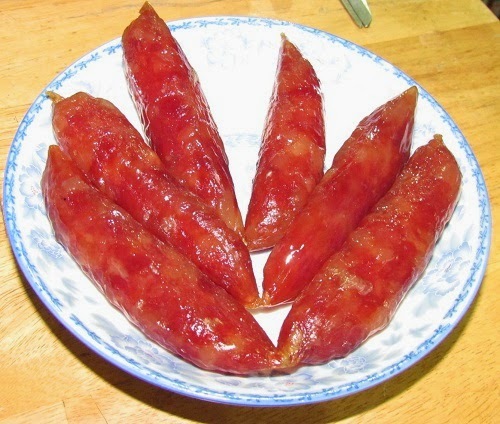 Today, from many amazing Vietnamese Food Recipes, I would like to introduce this dish for all you guys. It is really easy for cooking and save much time if you are a busy person. I would love to serve this food with orange juice added ice. Such an awesome feeling ever. Why don’t you try to taste it like my way? Are you ready to discover the true flavor of Vietnamese people in mornings through one of stunning Vietnamese Food Recipes like this one? Now I am going to start cooking it, if you want, feel free to follow me, ok? 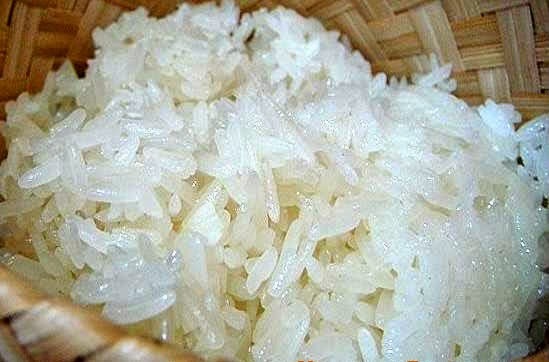 Step 1: Soak sticky rice in water about 1 – 2 hours or more. Next, pour out water, wait to dry, add 1 – 2 teaspoons olive oil and mix well. Then, bring to steam until it is cooked and soft. You should cover the pot when cooking for helping it is cooked faster. Stir gently sometime when cooking to make sure sticky rice will be cooked all. Step 2: Heat the pan (medium heat), add sausage without oil and roast about 10 – 15 minutes. Wait to reduce heat and slice thinly. Boil quail eggs, wait to reduce heat, peel off the cover. Step 3: Use that pan again, pour stirred chicken eggs added a little salt into pan, spread thinly and fry until it is cooked. Wait to reduce heat and slice thinly. One of important point to create one of Vietnamese Food Recipes is here. 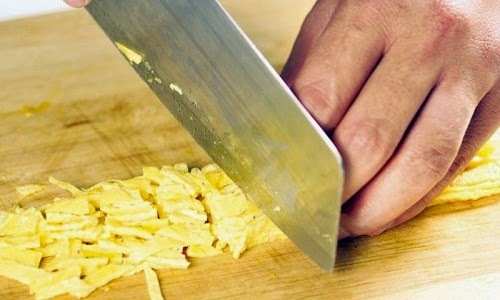 You should wait until it reduces heat before cutting if you don’t want it will break all. Step 4: Clean and slice small spring onion. 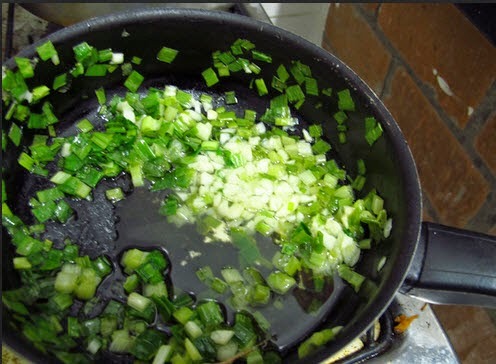 Add olive oil into pan (2 – 3 tablespoons), wait until it is hot, add spring onion and fry quickly in 1 – 2 minutes. Next, add dried shrimps (which were soaked in water in 15 – 20 minutes before) into pan and season with a little soy sauce to increase its flavor. In my experiences, you should not use more dried shrimps in this mixture. However, if you love it, it still can appear on your dish. Step 5: Slice thinly Vietnamese ham. 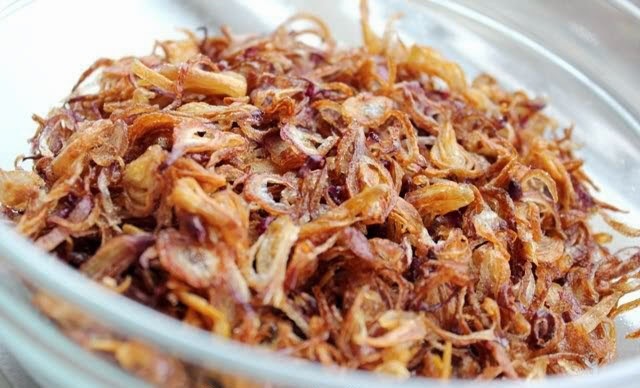 Peel off the cover of shallot, slice thinly and fry it into olive oil until it is crispy. Finally, you just finished all basic steps from one of amazing Vietnamese Food Recipes. 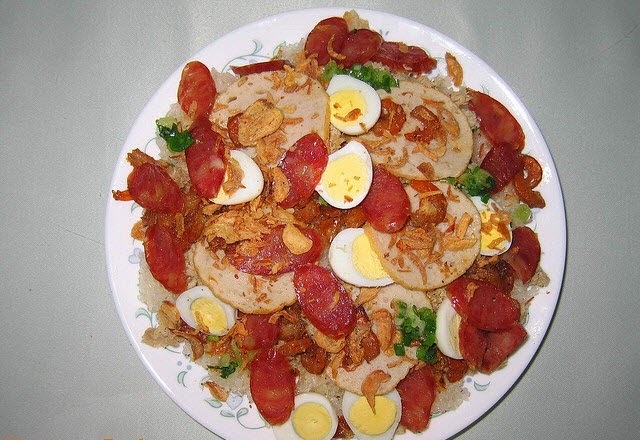 When serving, add a little steamed sticky rice on banana leave, add step by step fried egg, sausage, quail eggs, Vietnamese ham, pork meat cotton, mixture spring onion and deep fried shallot on top. Then, sprinkle more soy sauce and you can enjoy it. You also can spread more pate on top before add these stuffs. For extra dessert go with it, you can serve orange juice as I told above. Much more delicious. Hope you will love it and good luck for your cooking.